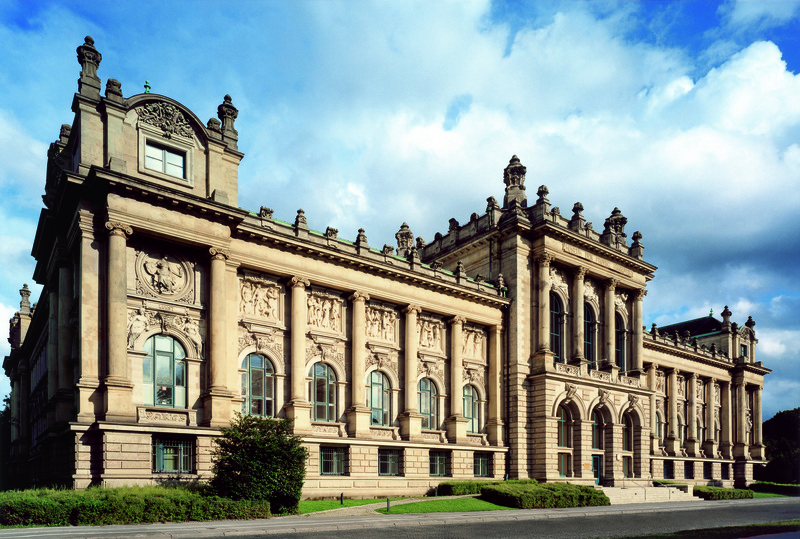 The Landesmuseum Hannover originated as a "Hannoverian Museum for Art and Science" from bourgeois roots: The "Naturhistorische Gesellschaft Hannover", the "Historical Association for Lower Saxony" and the "Association for the Public Art Collection" had decided to bring 1852 together their collections. 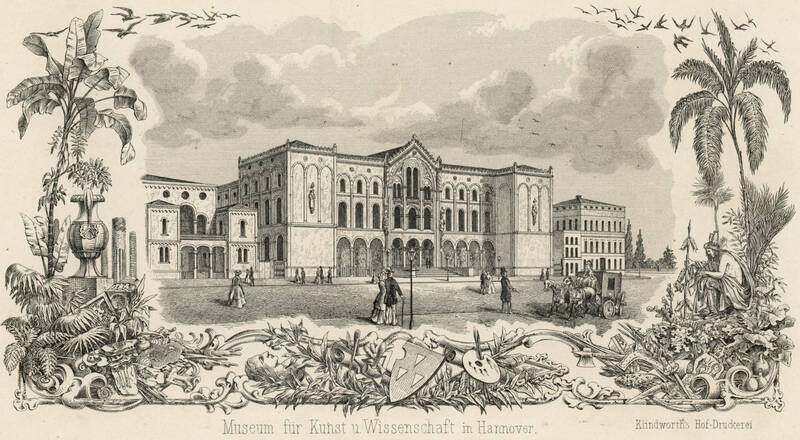 1856 was then able to present the new museum in the Sophienstraße 2, today's Künstlerhaus, until 1902, as provincial museum, received its new location at the Maschpark. 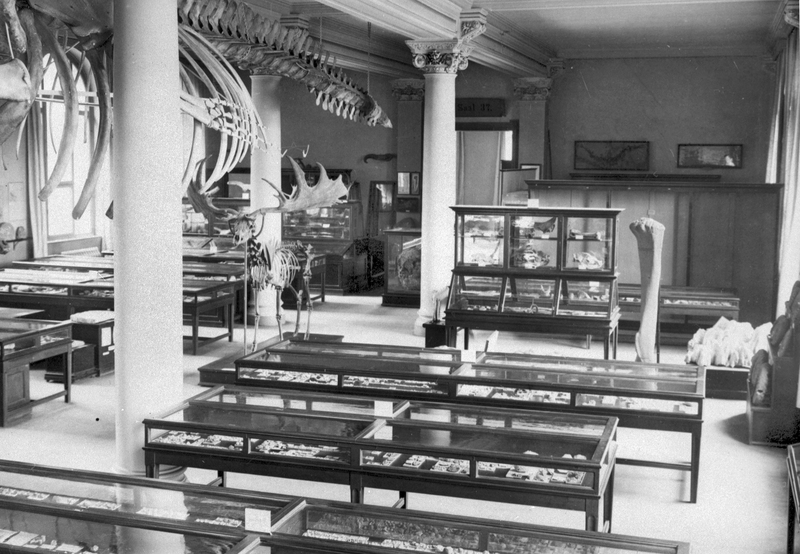 Since the beginning of a multi-line house, the new building has made possible a division into three sections: on the one hand the historical archeology collections, the history of Hanover, a collection of coins and ethnological exhibits, the natural history section and finally the art department. With its name, the "Museum of Art and Science" was already far ahead of the older royal art and Wunderkammern when it was founded, and today it seems almost trend-setting. For Wilhelm Leibniz, the great enlightener of the century, museums were »theaters of nature and art«, spaces in which art and science meet. The new concept, which has been successively implemented since 2013, is based on the history of the museum with three departments and on the architecture of the house as an image of the world. 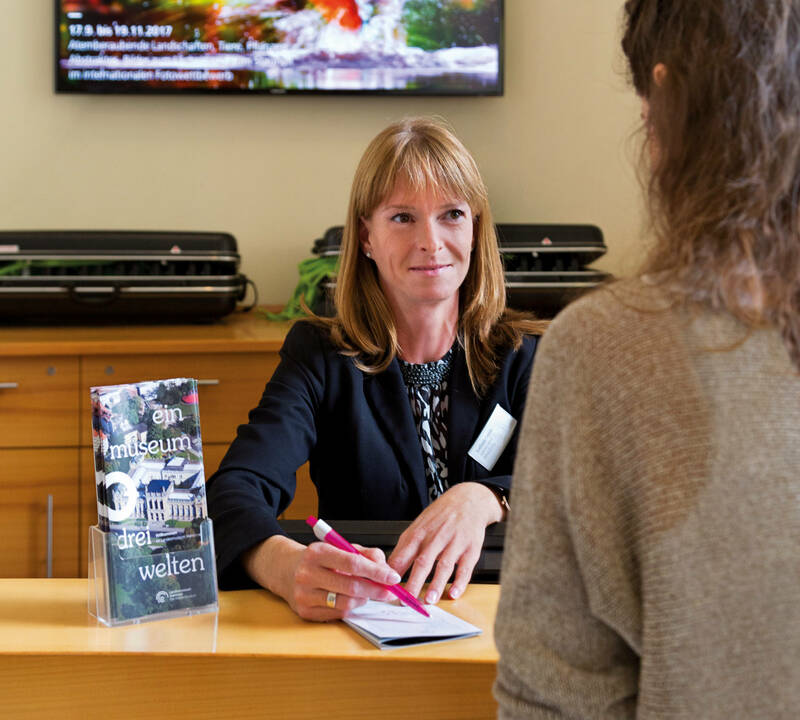 On the ground floor, for example, you can now find the »NaturWelten« as a link between the hitherto separate areas of vivarium and natural history. On the first floor you can experience the unique combination of archeology and ethnology, old and new worlds in the »MenschenWelten«. And above all, the KunstWelten floats with paintings and sculptures from the Middle Ages to the 20. Century. We ask Christiane Schilling, curator of natural history, since 1999 in the Landesmuseum Hannover active. What are your tasks in the Landesmuseum Hannover? scientific management of the WasserWelten. I am in close contact with our animal keepers, the collection administrator and the taxidermist. In addition, I advise authorities and private individuals on species and nature conservation. In addition, I look after the zoo animal care trainees from our house and in exchange also their young colleagues from the Hannover Zoo. Where is the difference to others Natural History Museums? The biggest difference is that we are not only a museum, but also a registered zoo. Of course, our fish, reptiles, insects and Co. are visitor favorites. However, the attitude of the animals also allows us a variety of mediation approaches. Another difference lies in the character of a multi-family house. 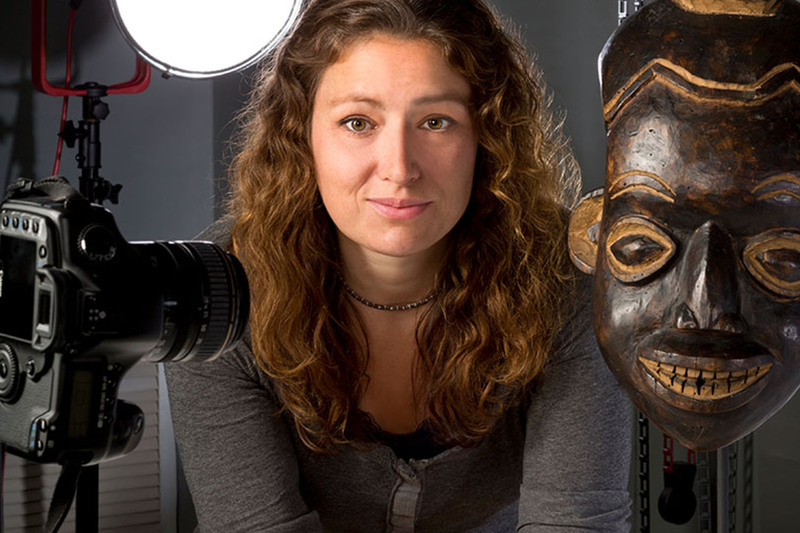 We can create quite different interdisciplinary exhibitions from our own collections. Do you have a favorite animal or a favorite object? Yes, my favorite animal in the Water Worlds is the Picasso Triggerfish, the perfect mix of art and wildlife. And my favorite object in zoology is the birdwing butterflies - beautiful big butterflies. electricity comes from the outlet? 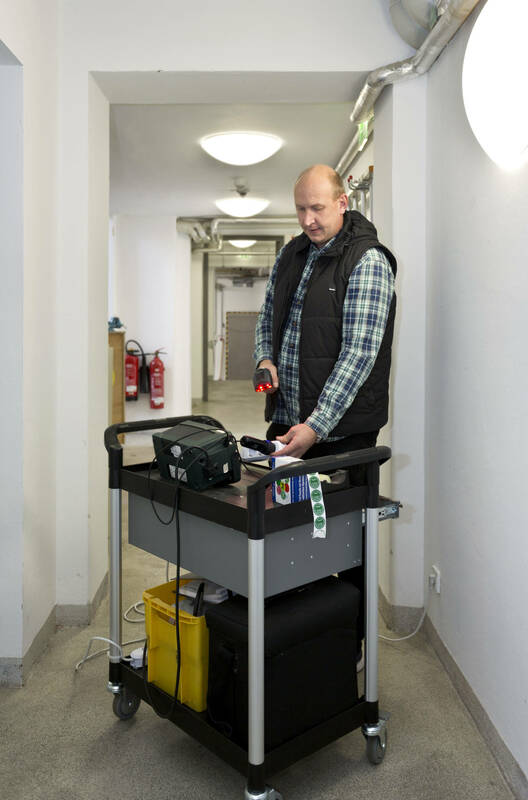 We ask Markus Kadow, since 2013 works as an electrician in the Landesmuseum Hannover. What are your tasks at the Landesmuseum Hannover? I am responsible for the maintenance of media technology and electrical installations. Also in the museum there is now a lot of technology. Most of the time it is so obstructed that the visitor does not notice it directly. 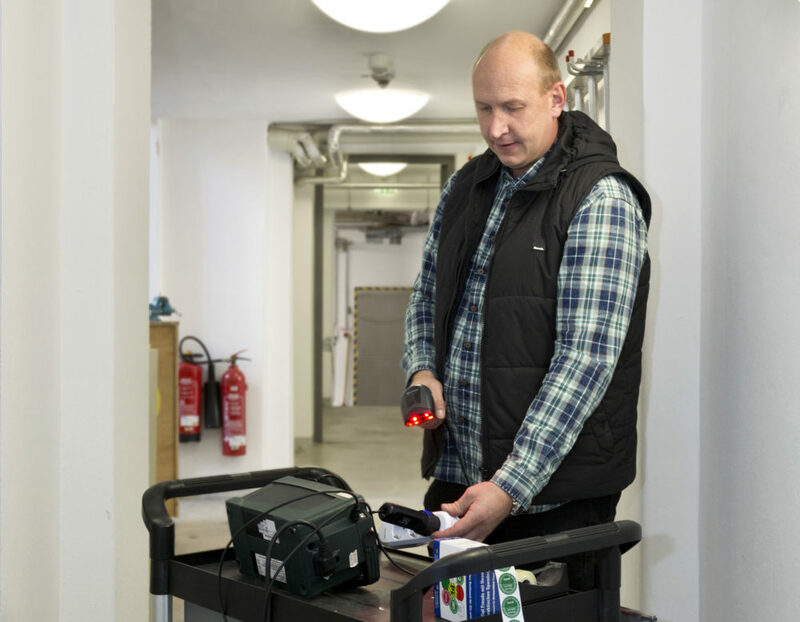 In particular, I take care of lighting and electricity in the collections and special exhibitions, program the light control of the house, make measurements on electrical appliances and make small repairs of any kind. Is a museum a workplace like any other? Under no circumstance. We work together with other professions very much on a cross-labor basis. For example, there is close cooperation with colleagues in carpentry or in event technology. When it comes to setting up special exhibitions or events, every helping hand is required. 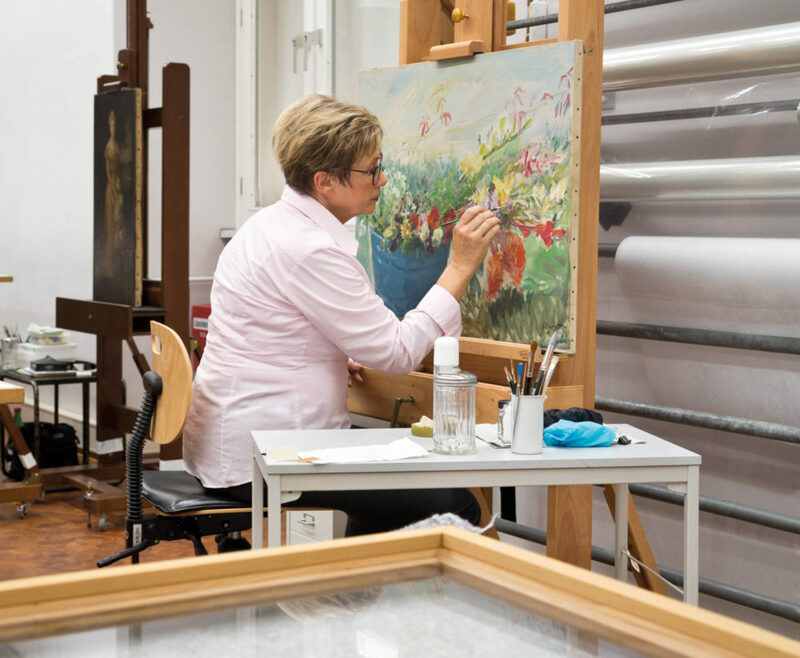 In addition, there are activities that reflect the diversity of the hotel: from alarm systems in the Landesgalerie to electrical work behind the scenes of WasserWelten. That makes my work so interesting. Do you have a favorite object in the museum? What I find absolutely interesting are the water worlds: corals, seahorses and piranhas. Especially when you see how the fish get bigger and how brilliant the colors of fish and corals are in the aquariums. Crucial for this are among other things special daylight lamps and there is happy then also the electrician in me. 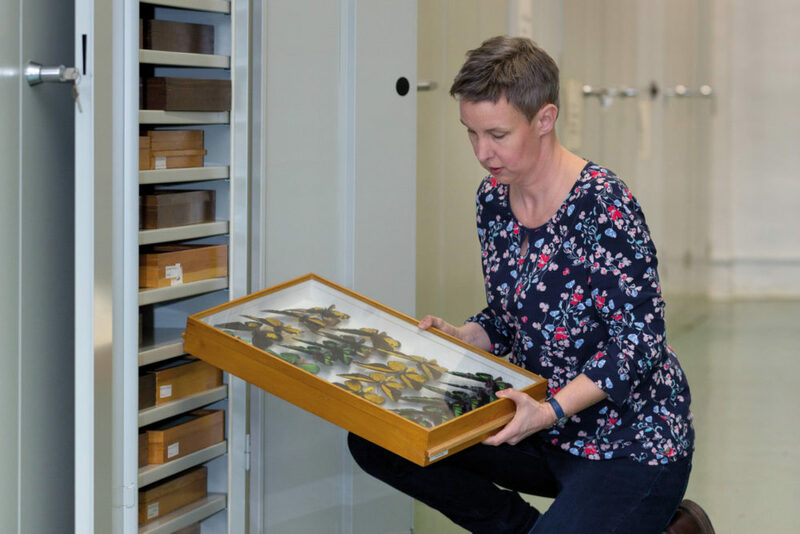 We ask Kathrin Heide, a member of the cash and supervisory service, since 2016 at the Landesmuseum Hannover. What does a typical working day look like? WeltenMuseum off? My colleagues and I are the first contact point of our museum and make sure that our visitors feel comfortable and with all the important information, such. B. entrance fees, opening hours and guided tours around the permanent exhibitions and special exhibitions are informed. Furthermore, I accept suggestions and criticism and forward them. What is the most extraordinary thing you experienced at the reception? Highlight for the Night of the Museums, as former Chancellor Gerhard Schröder stood in front of me and bought a ticket. Do you have a favorite exhibit? My favorite place is the Water Worlds, to be honest, the Pacific Basin. I love the colorful world of fish that send me a piece of holiday in the sometimes cloudy Hanover. 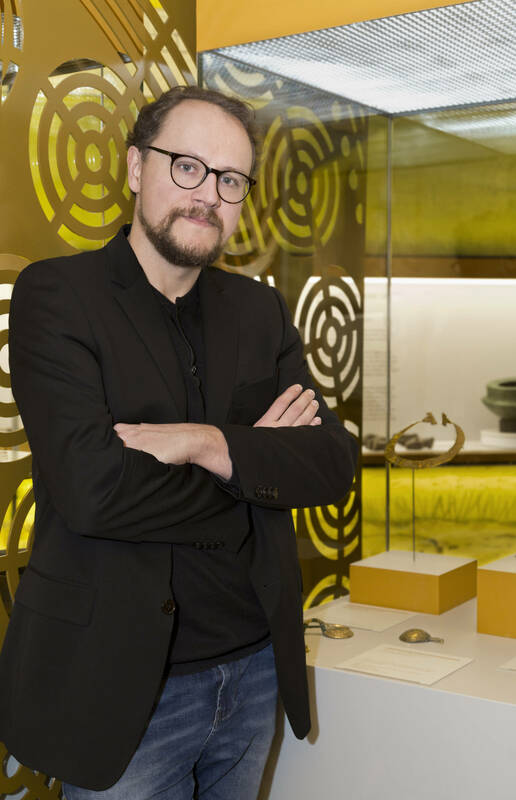 We ask Florian Klimscha, Curator of Archeology, since 2017 in the Landesmuseum Hannover. What is your job at the Landesmuseum Hannover? Research. Such work today often involves cooperation with universities and makes use of the whole range of modern scientific methods. The results are discussed and are often the occasion for new excavations. After all, all these efforts culminate in thematic areas of our permanent exhibition and, of course, in special exhibitions. Do you have a favorite object in the permanent exhibition? at all. But my favorite object is the copper ax from Müsleringen. This ax is an imported item and is most likely from the Black Sea area. She arrived in the 4. Millennium BC In our region, at a time when metal processing in the North German Plain was still unknown. While the Black Age is known around the Black Sea at that time, much of the world remains in the Stone Age. Such objects were therefore extremely valuable and circulated as gifts between the powerful. 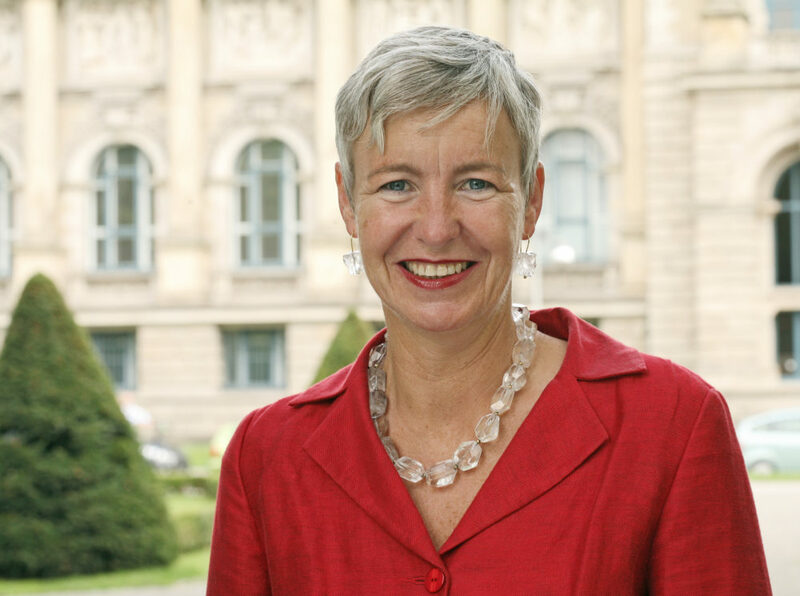 We ask Sabine Eisenbeiss, since 2012 as a registrar in the house. What is your job in Landesmuseum Hannover? Handling the entire loan for the incoming and outgoing objects, I deal with contracts, insurance and transport. What are the special challenges as a registrar? The registrar is the interface between many different actors involved in the loan process. For a successful completion, in particular for larger exhibition projects with many objects, therefore, increased demands are placed on the ability to communicate. You also need organizational talent and good nerves.  For the contact with international lenders one should have a sense for the local customs. But it is these contacts that make the work so interesting for me. What was the most exciting exhibit you have looked after? In my role, the lenders are more important than the exhibits. Exhibits will be of interest to me if, due to their fragility or dimensions, they place special demands on the transport. The current one is the most exciting, and most recently the large-format painting George IV by Thomas Lawrence from the Vatican Museums in Rome, which was presented in the exhibition "Treasurer" and because of its size presents us with some problems in terms of transportation in our building presented. 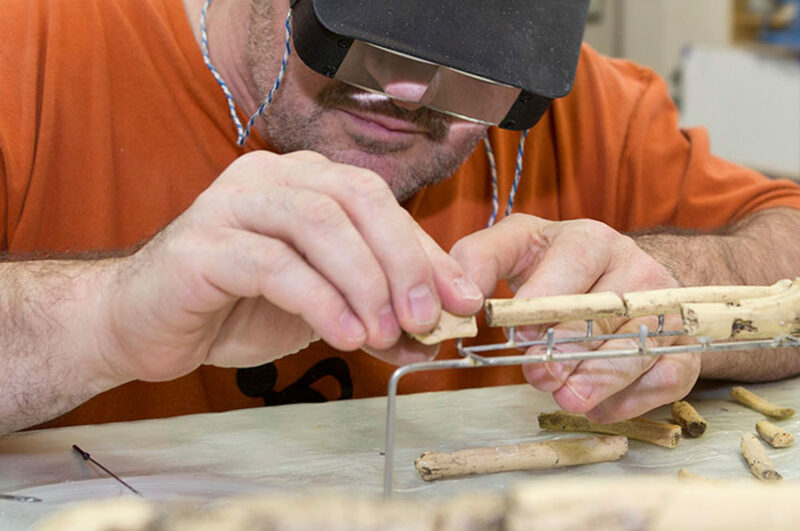 We ask Iris Herpers, as a graduate restorer, his 2007 in the State Museum operates. I look after the valuable works of art of the collection of paintings and sculptures conservatively. This includes, above all, the preservation of the objects and their condition. This requires an optimal climate in the exhibition rooms, but also the regular cleaning of the individual works is important, eg. B. also for special exhibitions. I also train restorative students and in special tours I give insight into the workshop and my work. The careful transformation of the great altarpieces in the KunstWelten is also one of my activities and is always a great experience for the visitors. 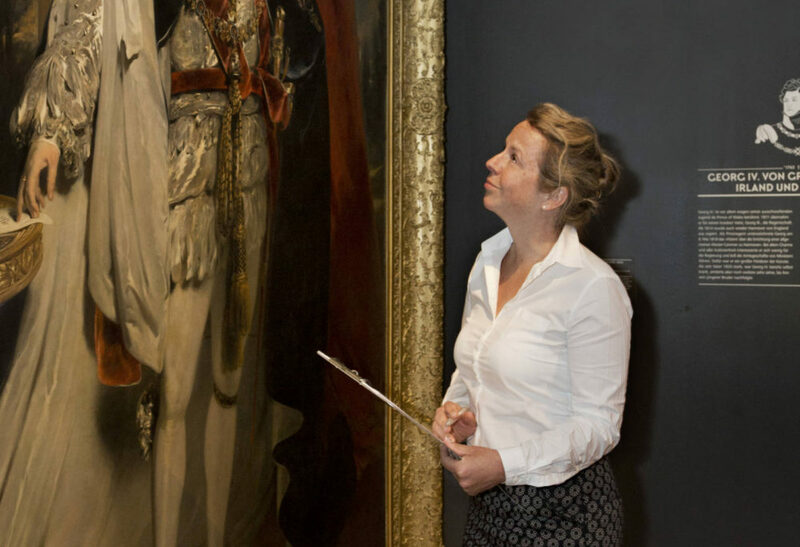 What are the biggest and most exciting challenges in restoring a work of art? 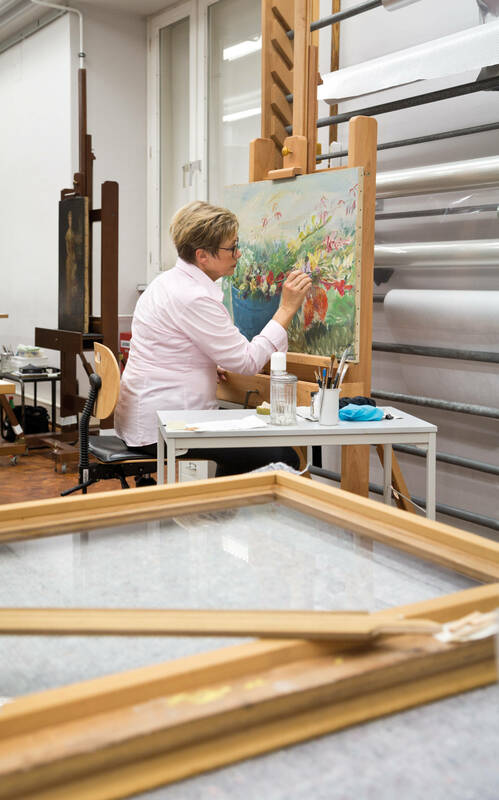 Special skill and concentration requires the exposure of lower layers of paint on a piece of art, ie the removal of later overpaintings without damaging the original. The aim is to restore the original state of the object as well as possible and, for example, to make original color layers visible again. Do you have a favorite object? Not really, there are so many special and great artworks in the collection. Above all, however, I find the diverse and versatile objects, in which very different materials in one work have been processed, exciting. As a restorer, do you also like to take private brushes? I like to paint in my free time, with watercolor, acrylic and oil paint. Unfortunately, one takes too little time for this relaxing hobby. What is your job in the Landesmuseum? In short, I am responsible for all matters relating to the topic of wood as well as work on it and so. More specifically, in consultation with curators and restorers, I create presentation possibilities for cultural objects of various kinds. For example, I recast paintings, create showcases and pedestals so that the most diverse objects can be presented correctly or build media stations for cultural mediation. The area of ​​responsibility is at least as big as our house and the spectrum ranges from timber frame construction, furniture production and exhibition construction to the work as a trainer, which I follow as a master carpenter in our house. What sets the "normal" carpenter apart from the museum carpenter? The professional activity does not differ. The biggest difference is first and foremost the environment. 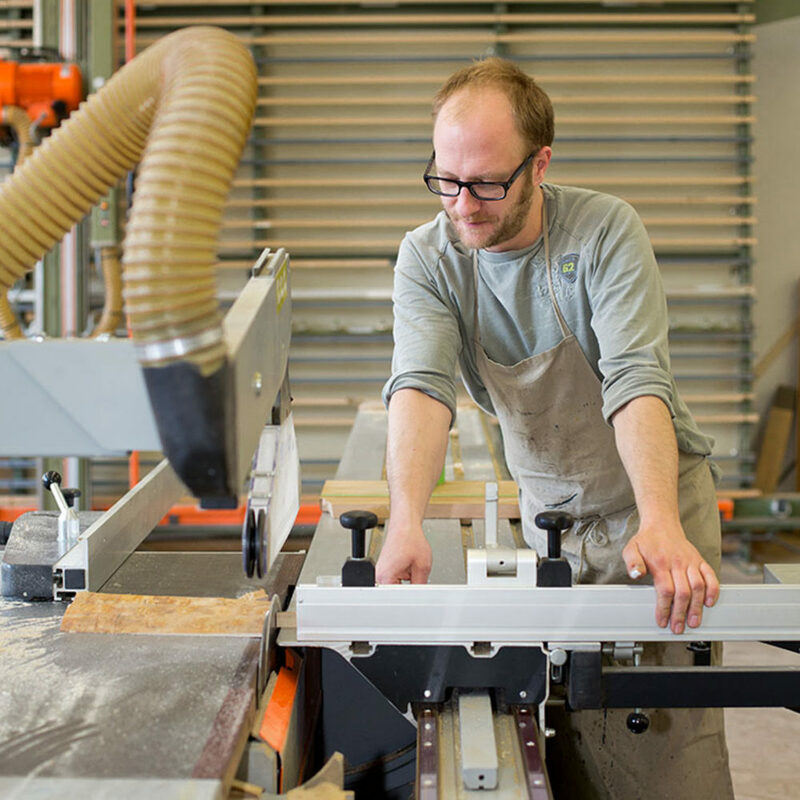 Our joinery is a small, fine operation within the Landesmuseum. So our only customer is also the museum. But of course we also build things that a "normal" carpenter rarely builds. And assembly activities take place mainly in the same place. In addition, the differences are smaller than you think. How long is it usually necessary to set up a permanent or special exhibition? This can not be answered completely, our "normal" special exhibition has a floor space of about 800 sqm, depending on how the exhibition architecture (walls, showcases, fixtures, light, etc.) is planned, you need for the construction of about 6 - 8 weeks. However, if the schedule is very tight, an exhibition must be finished in 4 weeks. In these times one is therefore almost around the clock in the museum. It was a mixture of interest in technology in general and photography in particular. I disassembled everything when I was a kid just to figure out how it works. Add to that my private interest in photography and the desire to work with people. What does a typical working day look like and what distinguishes the work in the museum from the photo studio? There really is not a really "typical" museum day. On one day you can wait for an hour for the right animal motif, a painting, a hundred-year-old coin, or a dinofahrte photograph. Currently I'm taking photos for the upcoming special exhibition »Tricky Heritage«. There are especially many sensitive ethnological objects. Of course, as in the photo studio, I also photograph people, for example at exhibition openings and family celebrations. But there is already a focus on object photography. In addition, every department and every object has its peculiarities and special requirements. This is only possible with a lot of patience, prudence and good teamwork. My "models" are usually just a bit older than others, as sometimes come together for a few million years [grins]. Do you miss the analogue photography? Analog and digital photography have their advantages and disadvantages. Although the analogue photography in quality and light mood in my opinion so far hardly beat, there is also some nostalgia with. Do you have a favorite motive? Actually, it's just the variety that I enjoy the most and the amount of information about the objects. What are the tasks of a zoological taxidermist? 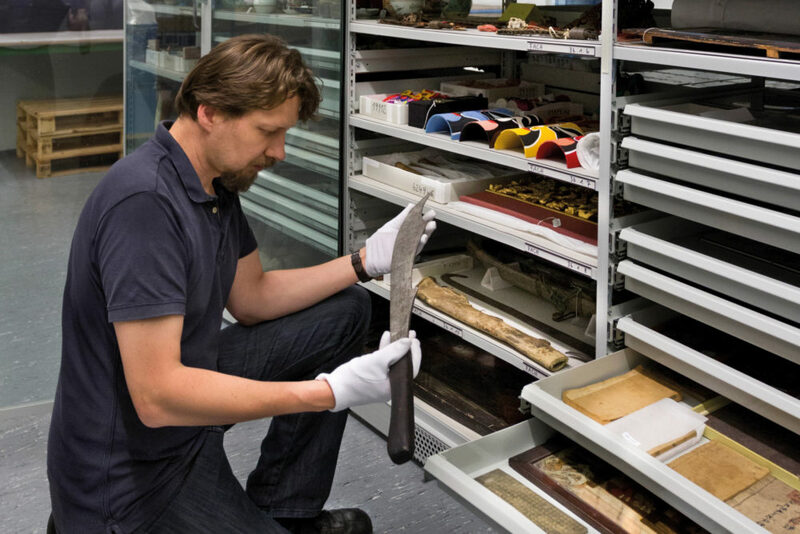 My main task is the collection and preservation of biological objects. We have a huge collection of zoological specimens - everything from hummingbirds to water buffalos. Among them are also pieces that have a historical value, since the animal in question has long been extinct. Accordingly, preserving and restoring collection specimens is one of my most important tasks. Another aspect of my work is the production of skeletons and dermoplastics. The latter involves the preparation of vertebrates - usually large mammals, birds and fish. The term preparation, however, refers to smaller animals and invertebrates. Visitors are often referred to as »stuffing«, a term from the beginnings of animal preparation, where one has actually stuffed carcasses with straw. Since this method, however, since the middle of 19. Century is no longer applied, this term is frowned upon nowadays. 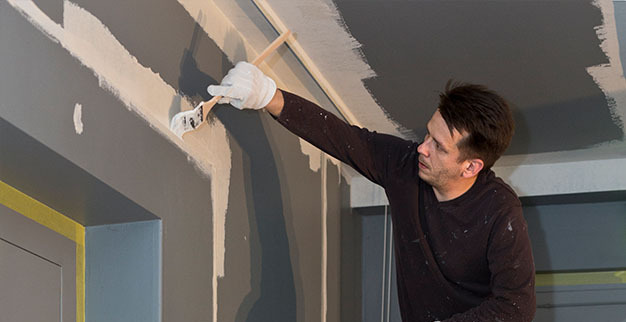 In Germany, one has to complete the vocational school for preparation-technical assistants in Bochum, in order to receive a state-recognized training. There the three main directions are taught: biology, geology, medicine. There are also museums that train themselves. Although this training is not recognized by the state, it is very popular with other museums. In other countries, however, the job of the taxidermist is a craft training. Do you have a favorite preparation and what would you like to prepare? I do not have a favorite preparation, but I appreciate the incredible variety of my profession. I would have liked to prepare a dodo, a bird about a meter long, flightless, which was distributed exclusively on a few islands. Unfortunately, humans already have these animals towards the end of the 17. Century eradicated. 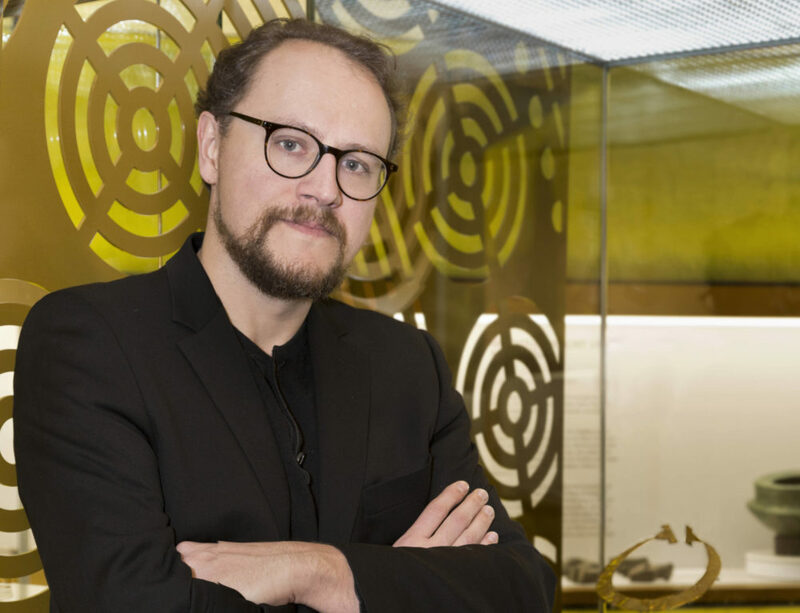 I look after the ethnological collections of the Landesmuseum. 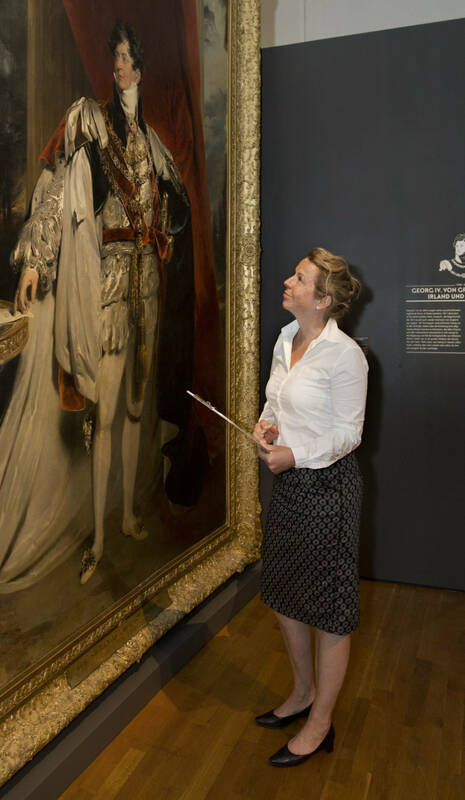 My responsibilities include research into the collection objects and the development of exhibitions to present the research results to the public. Among the most beautiful tasks is the cooperation with representatives of the cultures of origin of our objects. Together we plan projects and learn a lot from each other. In which country did you research and where would you like to travel again? I lived in Papua New Guinea for a year and a half in a small village and recorded their extremely complex worldview with the people there. They speak one of the 700 languages ​​used in the eastern part of this island - the second largest in the world. I would also like to go there again soon to see what has changed in the meantime. Do you have a favorite object in the show collection? Many of the pieces that I have included in the permanent exhibition have become dear to my heart. But the Chinese typewriter is a very special object. Due to the large amount of characters, it has only one arm, with which you can select the required character. This has been very rarely collected. The scope of supply of this typewriter includes over 3000 letters, from which with only one lever arm the respectively necessary one is selected. With practice, a speed of 15 characters per minute can be achieved. Since each character stands for a meaningful syllable or a whole word, this is almost as fast as typing a text in a European language on a typewriter common in Europe. How did you come up with the exhibition title »Heikles Erbe«? In all ethnological collections are objects from the colonial period. In exploring their respective employment contexts, we also come across problematic stories and injustices - in this respect, they represent a delicate legacy that we need to address. What are your responsibilities in administration? Basically, the tasks are wide-ranging, because our museum administration consists of only three people and everyone can take over the work of the other two. My main task is the electronic booking of all bills that flutter into the museum: Starting with office supplies, the monthly electricity bills, to the animal feed. Almost everything, which keeps the museum as such in operation. However, I not only spend all the money, but also earn the revenue. Furthermore, I create donation receipts in case someone donates money or material. What is donated to a museum? Either the visitors donate money, which should be used especially for the construction of exhibitions or used as a subsidy for the purchase of an object. Alternatively, we are also given special exhibits (material resources) for the different collections. Is the administrative job in the museum different? I would say yes. I have completed my training as a management assistant in a municipal administration, and the current activity in a cultural institution (where, for example, the exhibitions are constantly changing) no longer has anything directly to do with a classical administration or an authority. Due to the diversity of the museum, this is not easy for me, but the "moor landscape" by Otto Modersohn and the "Piazza Navona in Rome" by Giovanni Paolo Panini are among my favorites. What are your household tasks? Spontaneously I think of it: "Girl for everything"! My job is to maintain museum work behind the scenes with my colleagues. This includes, among other things, the maintenance of the over 100 years old museum building and the maintenance of our outdoor facilities. In the same way, we take care of the preparation of events, that is, providing seating for lectures and exhibition openings, setting up a stage for concerts or tables for events. But I also support the construction and dismantling of exhibitions. I originally learned painters and varnishers. So I'm the point of contact when it comes to repainting a room or a door. Are there differences in the museum work? 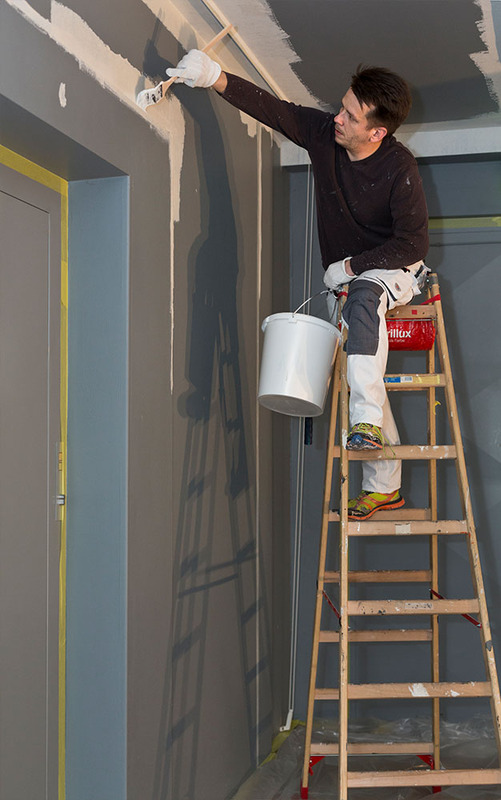 The tasks of the exhibition painter are generally already different and sometimes much more elaborate. This starts with covering and protecting precious objects. Sometimes that takes even longer than the actual painting or varnishing. Then it goes on with the right choice of paints and colors. It is very important to note that special limits apply to the different materials used in the exhibits. If, for example, a base is painted, it must then "outgas" 30 for days before it can be equipped with an exhibit. Do you have a favorite area or favorite exhibit in the museum? My favorite place is the medieval area of ​​the KunstWelten with its big altarpieces, for example by Meister Bertram. But also the characters of Tilman Riemenschneider I find fascinating. What these artists have already created for masterpieces with the limited resources of their time, I find absolutely remarkable. 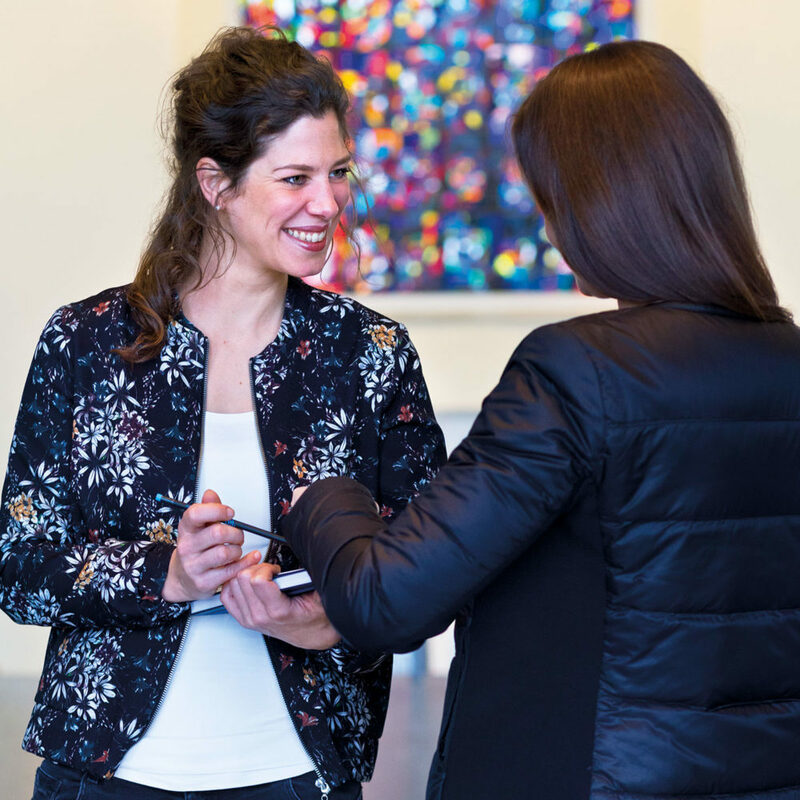 What does an event technician do in the museum? The tasks are very broad. This starts with the morning tour, whether in the permanent exhibitions all media stations work and goes to the support of classical lectures or live listening performances - sometimes even about vampires! The beauty of it is that no two days are the same. You are not only the event technician, but you can also play various musical instruments yourself? This with the various musical instruments is not a rumor, but I would not call myself a professional musician. Although I have flirted with music studies, but quickly realized that I'm not good enough for it. Nevertheless, I do a lot of music, play keyboards in a band, have a passion for home organs, do an experimental improvisation project and am interested in the theories behind the practice of music and visual arts. My favorite instrument outside of the museum is my old formant modular synthesizer from the 1970ern. This is a bulky and more than often bitchy old diva, but when it does work, it's unbeatable in the sound. 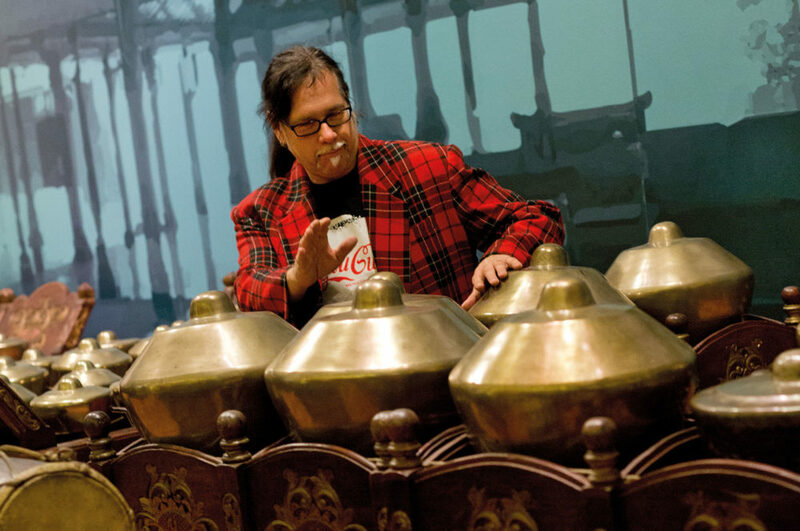 The nice thing is that with this synthesizer and the big gamelan ensemble (my favorite in the museum) the two elements of Eberhard Schoener's record "Bali Agung" come together, which fascinated me even as a teenager. 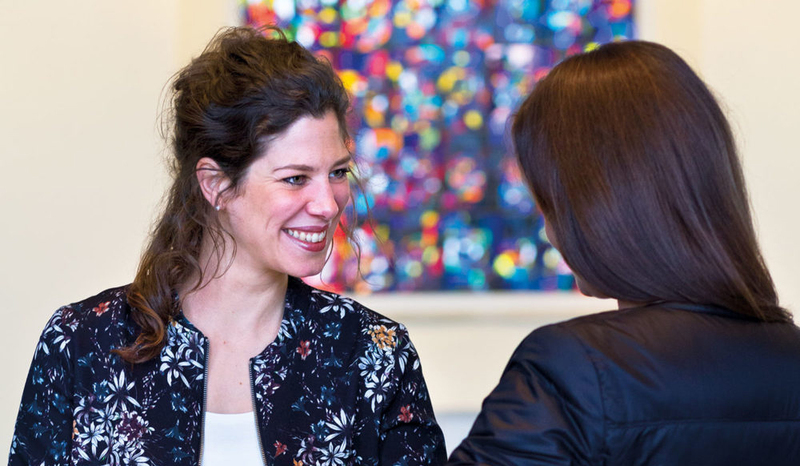 What does an event manager in the museum do? Basically, I put the museum in a different light and make guests out of visitors: From my perspective, the museum is not just a cultural institution, but also a unique venue with its own life. We enable interested organizers to realize their very special Christmas celebrations, weddings, meetings or receptions. At the same time, I also take care of organizing major museum festivals such as the »Night of the Museums«, the HalloweenFest or the Poetry Slam. Each event is unique and exciting - simply because an old, beautiful building can hold unexpected surprises. 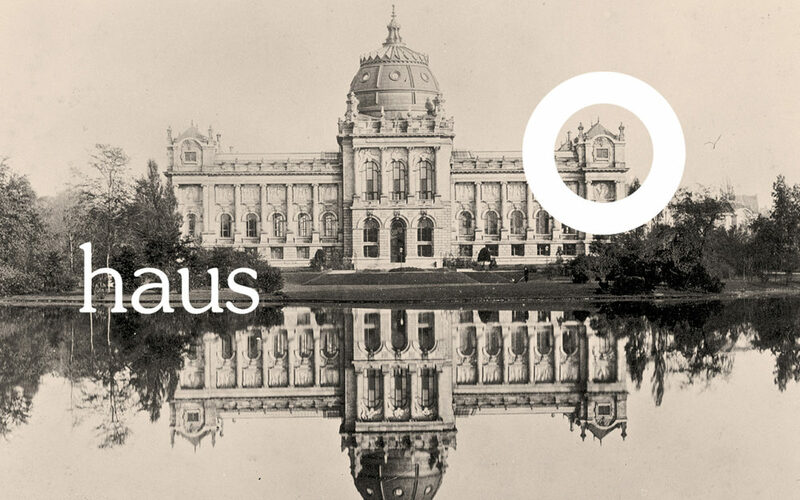 For which object from the WeltenMuseum would you like to start a marketing campaign? The museum's collections contain so many different impressive and meaningful works and objects - making a decision almost impossible. In addition, it is much more fun to take up the wealth of perspectives of the WeltenMuseum and to let off steam with ideas and strategies in different areas - it never gets boring. The other way around can be z. B. on the Ingelrii sword from the 11. It is a good illustration of how old the idea of ​​branding and related marketing is. What is more fun for you: marketing or event management? These are two very different activities; On the one hand, I focus primarily on the beautiful building and the ideas of the guests, on the other hand, the sometimes abstract contents of the multifaceted exhibitions. And yet, both areas offer the opportunity to translate ideas into aesthetically pleasing and impressive forms - and that's a lot of fun for me in both cases!